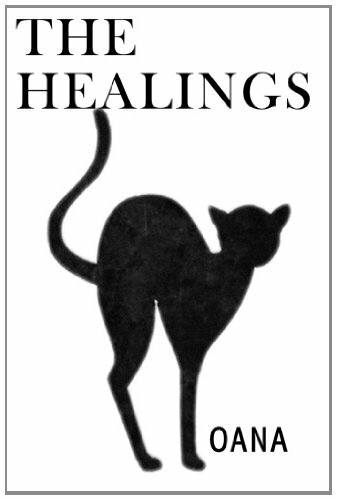 "The Healings" offer a pleasing marriage of humor and seriousness of life's situations. A story of a depressed male - the universal human being in search of his own Self and his place in the society and, on a deeper level in the world. In his quest for healing, he is accompanied by his one and only partner, his talking cat. The thoughts and dialogues, naive and hilarious as they seem, offer a deep insight into life, death and what's in between. Written in the first person, the short stories depict his encounters with those whom he calls "sources of wisdom," from shamans to scientists, from dream interpreters to psychiatrists, from flesh-and-bone creatures to illusory entities or just bizarre life situations. I have quite a mixed feelings on this book, at first. I thought it was a non-fiction, more like a motivation book that I rarely read. Look at the title; The Healing could have so many other synonyms of to get better for some kind of disease or sickness. And I never thought that it serves more than that. At first, I'm having a hard time to analyse and understand the story but it would get to your sense eventually. The more I read the more I want to know what is actually all about, the more I was hoping to know and wonder how it's going to end. The author introduced us with a nameless guy, which I think it actually would be anyone, or myself. He went for many shamans and healers, hoping that his whatever problems of life could be solved and go away. I think he actually felt cheated when there's no absolute solution and choices that would ease him from the tension he has. This brought him back to his cat, where he felt more centred, focused and he never to lonely to tell anything to his cat when his cat do nothing or even say anything. He can be open to his cat, or actually we can be open to ourself when we take the time to point out what actually is wrong with our inner self. Sounds funny and crazy but somehow he's healing. The author really knows her character, her book, and how to make the reader understand how to open up ourself instead we search for stranger's help in the first place. The writing is good, with a lot of humour, a little bit sarcasm, funny, and well-developed. I fall in love with this book. It may not have the best plot line, but the story made me feels something to heal myself from daily basis of work, school and my relationships. It's very easy to relate to. The book deserves the best attention from all of us and I personally think it's quit a silent healer itself. It makes us discover our personalities and self-awareness. Fully recommended! Born in Bucharest, Romania, Oana lived twenty years under the grotesque dictatorial regime of Ceausescu. After the fall of the communism in 1989 she studied languages at the University in Bucharest, then received her Master’s at the Jagiellonian University in Krakow, Poland. English is her third language. She has worn many hats, working as a translator, as a teacher, and eventually caring for animals both domestic and wild. She volunteered and worked for wildlife rescue and rehabilitation centers both in the US and Canada. She lives in Arizona, where she continues to dedicate most of her time to her animals and to writing. Disclaimer: I received this book from Author Oana for an exchange of a review. These are my honest review and receiving a copy in no way will ever reflected my review. Wow! The Healing sounds interesting. Great review Darlyn. This is an E-book right? Hi Cj! It's been a long time. No, it's a printed copy. Thanks! This sounds good and I find the cover to be eye catching! Hmmm, not too sure I'd enjoy this either though I love the cover - well I would do it being a cat.